“We are deeply saddened that this bright, young woman’s life was cut short. Our heart goes out to the family and friends of Mollie Tibbetts. No family should ever have to endure such a tragedy, especially one that could have been prevented. We are thankful for the hard work of Governor Kim Reynolds and federal, state and local law enforcement as they continue to find answers for Mollie’s family and the American public and bring the killer to justice. As Governor Reynolds said, ‘our immigration system allowed a predator like this to live in our community.’ Too many Iowans have been lost at the hands of criminals who broke our immigration laws. We cannot allow these tragedies to continue,” – Sens. 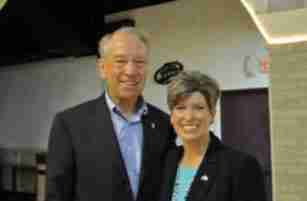 Grassley & Ernst. Senator Ernst introduced, and Senator Grassley cosponsored legislation, Sarah’s Law, to honor another young Iowan woman, Sarah Root, who was killed in 2016 by an illegal immigrant. Sarah’s Law would require U.S. Immigration and Customs Enforcement (ICE) to take custody of an individual who is in the country illegally and is charged with a crime resulting in the death or serious bodily injury of another person. It would also amend the mandatory detention provisions of the Immigration and Nationality Act to require the federal government to take custody of anyone who entered the country illegally, violated the terms of their immigration status, or had their visa revoked and is thereafter charged with a crime resulting in the death or serious bodily injury of another person.